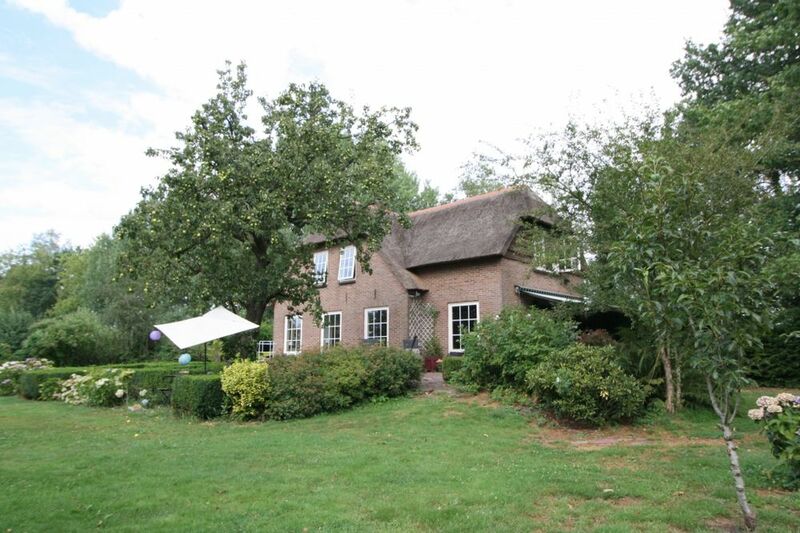 In a rural environment, in the village of Doornspijk is this spacious (213m2) detached farmhouse situated that is for rent for 12 months from 1 January 2019! A spacious house with characteristic elements, fully furnished so ready for you to move in, and that in a beautiful location with plenty of space around. place for the ultimate nature and / or water sports enthusiast! Entrance, spacious hall with toilet. Spacious living room with cozy fireplace and characteristic beams. Living kitchen with French doors to the spacious garden. The country kitchen is equipped with gas hob with extractor hood, dishwasher, fridge / freezer and combi-oven. On the other side of the hall is a spacious office / study room. Generous landing with access to two spacious bedrooms. Stylish bathroom with sink, bath with shower. The toilet is ideally located separately. The house also has its own driveway and shed. - NO brokerage fee for the tenant! 123Wonen works as a rental agent for the owner. Zoek je een geschikte school in de buurt van de Grevensweg in Doornspijk?